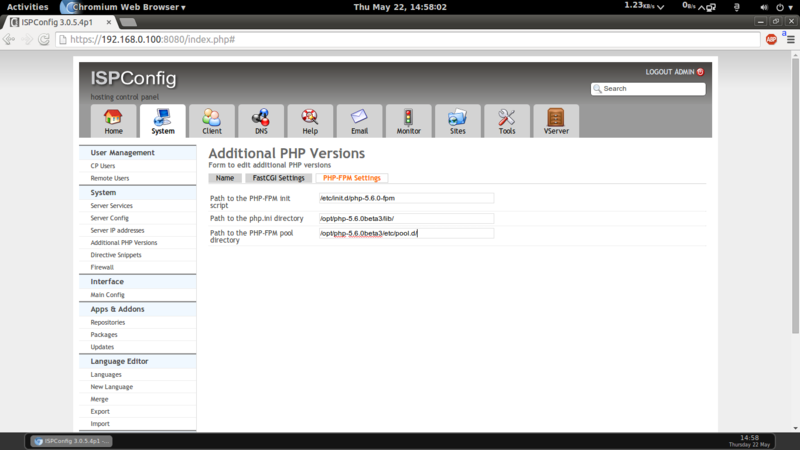 I will install PHP 5.6.0beta3, the latest PHP 5.6.0beta3 version at the time of this writing. I will also show how to build some additional PHP extensions such as APCu, memcache, memcached, and ioncube. PHP-FPM and FastCGI are mutually exclusive in PHP 5.6.0beta3, that's why I show two ways of building PHP, one for PHP-FPM, one for FastCGI, however you can compile PHP twice to get both, one time with --enable-fpm and one time with --enable-cgi (make sure to use different base directories, such as /opt/php-5.6.0beta3 for PHP-FPM and /opt/phpfcgi-5.6.0beta3 for FastCGI). 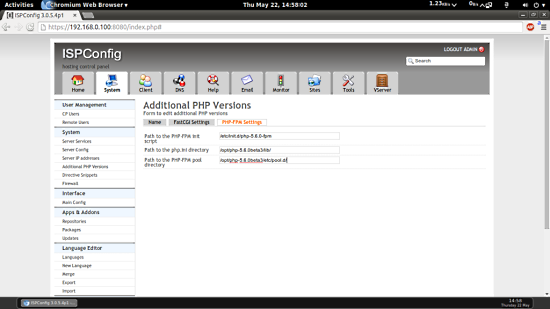 Starting php-fpm [22-May-2014 03:14:39] WARNING: Nothing matches the include pattern '/opt/php-5.6.0beta3/etc/pool.d/*.conf' from /opt/php-5.6.0beta3/etc/php-fpm.conf at line 529. That's it - if you like, you can now install some additional modules like APCu, memcache, memcached, and ioncube. I run into the same problem on debian-unstable amd64. No idea how to fix it.